HolidayInn Express & Suites Cleveland Westlake 30500 Clemens Road, Westlake, Ohio 44145 - BRAND NEW PROPERTY - OTOA member room rates start at $92.00 a night. $92.00 per night Government rate. They do offer a 13% Govt Discount. The room rate here is $107 and includes breakfast. 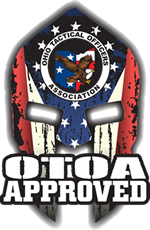 Reservation line is: 877-562-5638 and reference, "The OTOA- Ohio Tactical Officers Association Room Block" or group code: OK04AA to make reservations. Make reservations before October 26th in order to receive the group rate. *Government Rate of $93.00 per night. Contact hotel and provide department P.O. or Law Enforcement Credentials to obtain government rate.